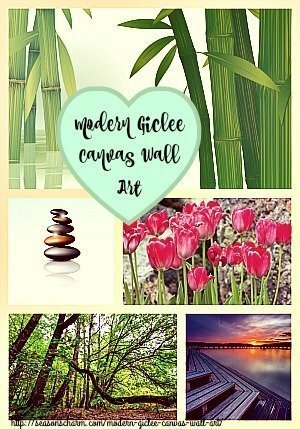 The modern Giclee canvas wall art makes a beautiful housewarming gift for new home owners or as special occasion gifts for families and friends. Home decoration wall decor gifts such as the beautiful wall art pieces add a personal touch to your home. These Giclee canvas artwork come in various lovely images such as flowers, sea view or amazingly beautiful landscapes. Bring the peaceful world into your home, enjoy the calm and serenity of a zen garden wall art. Colorful stretched canvas wall art can add an air of elegance and a touch of color to an otherwise dull wall space. Quality inks are used to print these high resolution digitally scan images onto thick quality canvas. Below are 7 absolutely beautiful stretched canvas wall artwork that would make lovely gifts. The beautiful scene is printed on genuine, poly cotton blend matte canvas using long lasting Epson archival inks. This results in vibrant colors and a beautiful magical scene. The canvas print is hand-trimmed and hand stretched over 1.5″ fir wood stretched bars. It comes ready to hang with a hanging bar at the back. 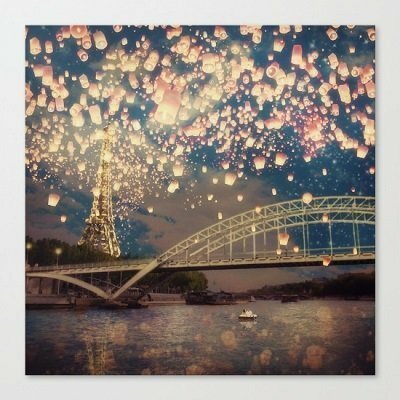 It would be difficult not to fall in love with this 13″ x 13″ Love Wish Lanterns over Paris canvas wall art. The original is a beautiful still life fine art flower painting by French Impressionist artist, Auguste Renoir c. 1866. This vase of pretty wild flowers is available in multiple standard as well as custom sizes. It is printed on canvas made from an additive-free cotton-poly blend. The special ink-receptive coating used protects the printed surface from cracking during the wrapping process. Vivid colors and quality canvas printing with all the fine details make this look like a museum piece of wall art. This set of high definition Giclee modern canvas printing artwork features a crescent moon slowly transforming into the beautiful full moon. It looks awesome hanging in your living room, bedroom, office etc., looking mysterious and magical. This framed fine art print is protected by premium shatterproof acrylic. These are ready for hanging right out of the box. 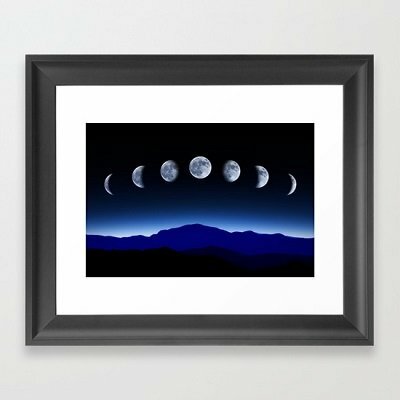 This framed wall art featuring the different phases of the moon on canvas would also make a wonderful gift for the space lovers or the romantic couple in your life. Comprising 4 different lovely images of the sea and beach landscape, each piece measures 12″ x 12″ with a 3/4″ thickness. The whole image comprising the 4 panels measures 24″ x 24″. Each panel has a hook mounted on the wooden bar at the back for immediate hanging once unpacked. This high definition photo printed images on quality canvas artwork is an easy and beautiful way to decorate your living room or bedroom walls. This seaside canvas wall art is a great way to get the feel of the ocean right at home or to bring back sentimental memories of your lovely seaside holiday. If you love the seaside, then this is perfect for you. Pictures of colorful flowers printed on high quality canvas hung up on your living room wall remind you of Spring and its beautiful blooms. This canvas giclee print is gallery-wrapped (the design continues on the sides), giving it a real art gallery feel. The lovely canvas wall art measures 33″ x 40″. These stretched and framed canvas wall art panel comes with a hook for convenient immediate hanging. 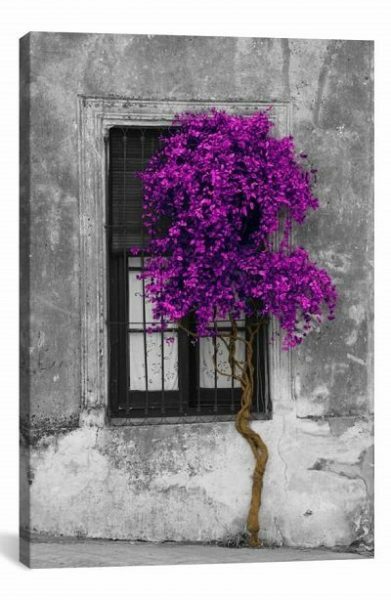 Add a touch of Spring to your home decor with these colorful flowers canvas wall art prints. Made in USA, the canvas print is made of 100% cotton canvas with anti shrink pinewood bars and anti fade UltraChrome inks. It is available in 2 sizes. The 26″ x 18″ canvas print weighs 4 lbs and the 40″ x 26″ weighs 7 lbs. The canvas print is hand stretched onto the pinewood frame. It comes ready to hang. The side edges are also printed for a more decorative effect. 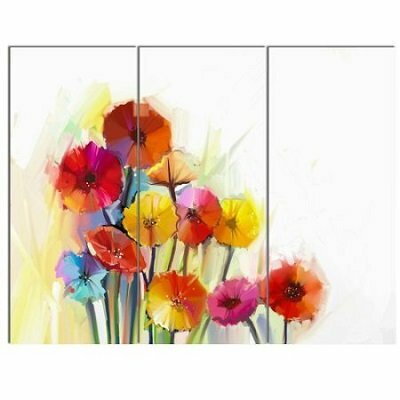 This Giclee canvas wall art printed with high resolution on quality canvas consists of 2 panels adding to a total size of 24″ x 24″. HP Latex inks are used during printing process and this contributes to a fade resistant canvas print for up to 100 years. The image wraps around the sides of the frame and come ready to hang with attached hooks. Stretched out on ¾” wooden frame, this very zen-inspired artwork gives out a calm, tranquil and serene feel. Bamboo leaves, basalt stones and gentle flowing water in a green background all points to a calm and peaceful zen feeling. You can also buy just 2 panels of this zen Giclee canvas prints but with slightly different images. This artwork would be perfect for yoga lovers and those into meditation. 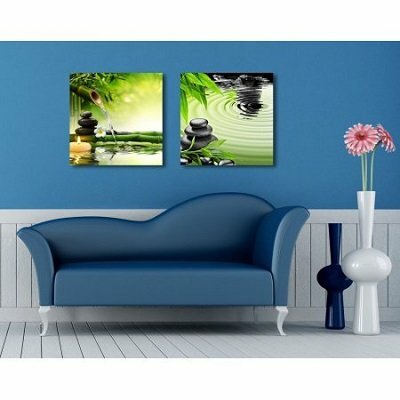 Add a touch of calm relaxing zen to any room with these zen-inspired canvas artwork prints. High definition picture photo prints on canvas are affordable modern beautiful canvas artwork that help to bring some magical life to your bare walls. Whether as a cherished housewarming gifts, Christmas or New Year gifts or as meaningful birthday gifts, these high definition modern Giclee canvas wall art pieces would be loved.